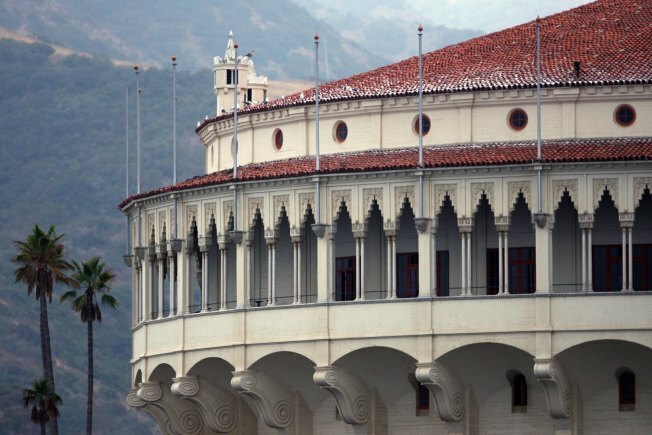 Surprise... it's tourist season on Santa Catalina Island. Cruise ships rerouted from Mexico because of swine flu are docking on the island. They're bringing an unexpected windfall to businesses in Avalon as passengers disembark with cash that might have been spent elsewhere before the U.S. State Department's travel advisory. "It's too bad it had to happen because of a nasty bug," business owner Michael Upton told the Los Angeles Times. "But we're enjoying an unexpected windfall." The Times reported that business was down 18 percent in February and March. That changed after the State Department advised that U.S. citizens avoid unnecessary travel to Mexico. The advisory was issued Monday. Wayne Griffin, president of the Catalina Island Chamber of Commerce, told the Times that the island can expect 25 cruise ships in May. He said each ship represents $300,000 in passenger spending and tax revenues. The timing is perfect for business that might otherwise have to close, Griffin told the Times.